7 Minutes DVD and Blu-ray release date was set for September 1, 2015. So many things can go wrong in seven minutes. Sam, his brother Mike and his friend Owen need quick money and decide to deal drugs. The problem? A mistake leads to the product being destroyed and a debt they must repay within forty-eight hours with cash or their lives. 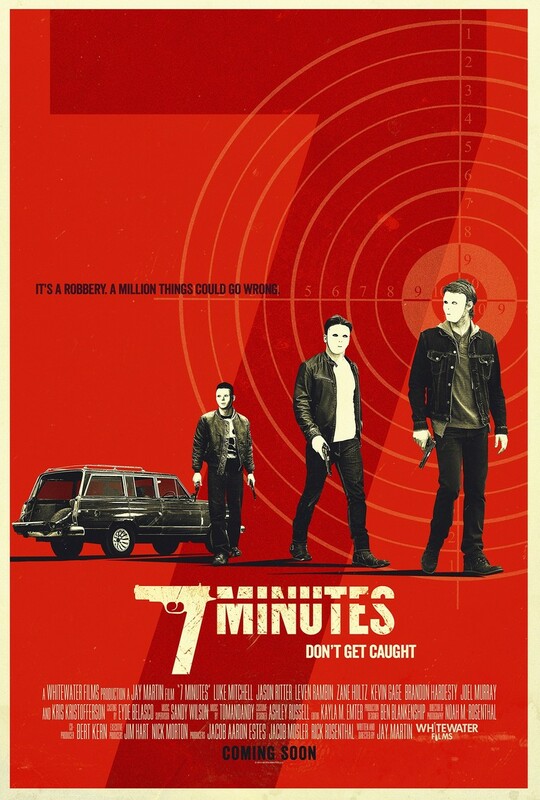 Turning from one bad plan to another, the friends think robbery will solve everything and that they can be in and out in "seven minutes." Little do they realize that nothing is ever that easy -- especially when at least one of them, Sam, has more to lose than anyone else.